Adam Frederik Netherwood was born on 1 May 1772 to Captain Magnus Wilhelm Netherwood and Anna Elisabeth Stalhammer. After serving in the Swedish Army he transferred to French service as a volunteer in the 5th Hussars. By the time of the Egyptian expedition he was a captain serving on the staff. He took part in the advance into Syria and was present at the storming of Jaffa and the siege of Acre. He was later attached to Kleber’s staff and then Menou’s. At a time when many officers find themselves unemployed, I have little right to ask you, Citizen Consul, that I might continue to serve in the French armies; your generosity towards those who served in Egypt, however, gives me some reason to hope. Offers being made to me by the King of Sweden can not persuade me to leave your armed forces – I will always be happy wherever the French go whether it be in Europe, Africa or at the very ends of the world. I only request that I be permitted to go to Sweden for two months’ leave. Netherwood spent those two months in Sweden but was soon back in Paris, at the Hotel de Chatelion, and seeking employment from the Ministry of War. On 18 October he volunteered to participate in the expeditionary force being prepared for Saint-Domingue (Haiti) where the French were hoping to reimpose rule over an independently-minded Toussaint Louverture and his army of former slaves. Napoleon’s brother-in-law, General Leclerc, was in command of the expedition and on 24 October Netherwood was assigned a position on the staff, embarking at Brest on L’Océan along with Captain Musquinet-Beaupré, Captain Leclerc and Lieutenant Perrin as well as Leclerc’s senior staff officers Abbé and Alexandre Dalton. Netherwood arrived in the Caribbean in February 1802 and his staff duties kept him busy as the campaign, initially successful, gradually wore down the expeditionary army. Yellow fever decimated the French, and Leclerc was one of the many thousands to die in the epidemic. “Permit me, Citizen Minister, to present my respects to you via Citizen Dalton, who I have asked to remind you of me. I was designated, by my most unfortunate general before his death, to accompany his wife to France but as the colony is being attacked from all sides, I believe that it is my duty to do without the honour of accompanying her, but, instead, to share in the perils being faced by my comrades. If, Citizen Minister, you agree to this, I hope that I will be recalled after eight months as family matters in Sweden demand my attention and, by that time, reinforcements will have arrived, the rebels will have submitted and the colony secured for France. Leclerc’s body was shipped to France on 10 November, Pauline and her son, Dermide, also travelling on board Captain Hubert’s ship the Swiftsure. Abbé with three Guard officers and six soldiers and Leclerc’s other ADCs (Dalton and Burcke) accompanied the widow. 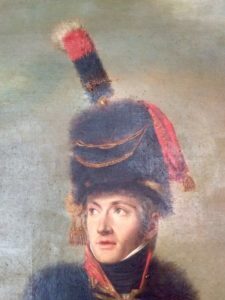 Back in the unfortunate colony, Leclerc had been replaced by General Rochambeau, wayward son of the hero of the American Revolution, and he launched an offensive in late 1802 which attempted to secure the coastal towns for France. On 19 November, shortly after the departure of General Abbé, Netherwood had replaced Chef de brigade Abbé as commander of the colonial governor’s Guard. 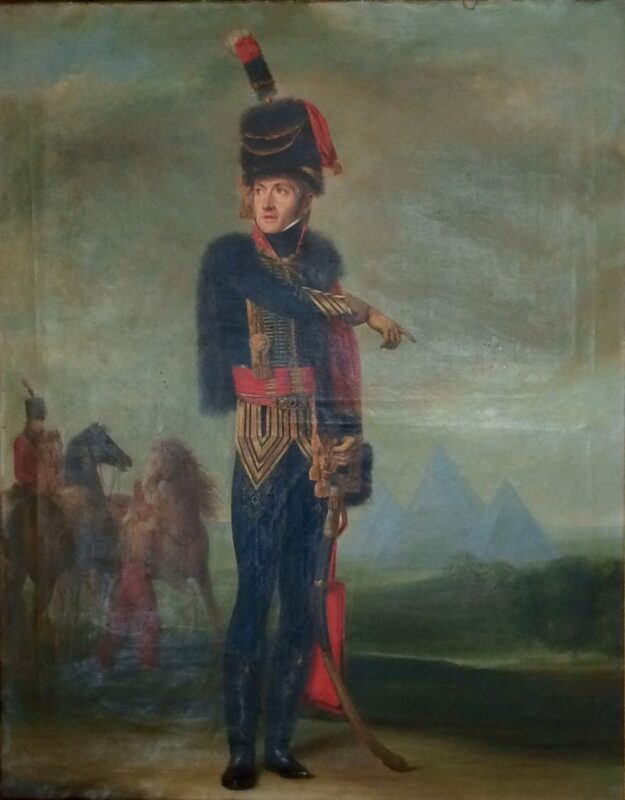 Netherwood was kept busy at Le Cap, distinguishing himself under General Clausel in February 1803, leading the Guard cavalry in a brilliant charge and putting 300 rebels to the sword. Netherwood, like many of the expeditionary forces young officers, sought to improve his station in life by marrying into one of the rich colonial plantation families. He married Marie-Thérèse Lemit, born at Port-au-Prince on 22 July 1774 and daughter of Pierre Lemit (who had returned to the colony with his family in December 1801), an architect, and Catherine-Thérèse Masson. The marriage bans were published on 27 March 1803 and the marriage took place two days later. A marriage contract was drawn up on 1 April 1803 by Judge Ludot and was signed by, among others, Netherwood’s friend Colonial Prefect Daure, General Thouvenot, Admiral Latouche-Tréville, Chief of Staff Boyer and General d’Henin. Netherwood was gifted a coffee plantation and plantation house as part of the contract, along with a dowry of 6000 Francs. This letter seems not to have had an immediate effect as she had to write again on 14 January 1804, this time providing more details concerning her husband and the couple’s marriage. Another letter to Berthier followed on 26 February. This last piece of correspondence was perhaps unnecessary for she soon received news that on 23 February 1804 she had been granted her widow’s pension of 600 Francs. She moved to the Rue Neuve des Mathurins and then Rue Joubert. In 1828, when the French government began to pay an indemnity to all the property owners who had lost property when the colony fell, the widow Netherwood claimed a sum in lieu for her coffee plantation. She seems to have died shortly afterwards.